Four persons were charged recently in separate domestic violence-related incidents. • Jason William Thomason, 134 Riverwood Circle, Apt. 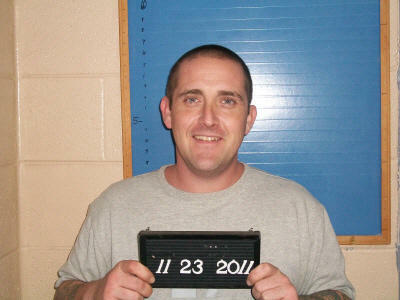 4, Carthage, was charged with Domestic Violence on Nov. 23 by Cannon County Sheriff's Deputy Matthew Parsley. Thomason allegedly sat on the purported victim, choked her, and then hit her in the head. Bond was set at $1,500. Initial court date is Dec. 6. • Clifton Wayne Mankin, Jr., 150 Riverdell Rd., Woodbury, was charged with Violation of an Order of Protection on Nov. 16 by Cannon County Sheriff's Deputy Brandon Gullett. Mankin allegedly contacted the obtainer of the protection order on that date and then showed up at their place of residence. Bond was set at $1. Initial court date is Dec. 6. • Timothy Jake Milligan, 800 South McCrary St., Woodbury, was arrested on warrants charging him with Aggravated Domestic Assault, Domestic Assault, False Imprisonment (two counts) and Violation of Bond Conditions on Nov. 28 and Nov. 29. Milligan allegedly held two persons against their will inside of a home, using threats of physical violence and to kill them if they left the home or contacted police. He also allegedly attempted to strangle one of the victims, and repeatedly hit the other in the back of the head. Following his release on bond on Nov. 28, Milligan allegedly contacted one of the victims on Nov. 29 by phone, in violation of one of the conditions of bond. Total bond was set at $56,000. Initial court date is Jan. 3. • Kelly Brooke Rollins, 109 N. Dillon St., Woodbury, was charged with Domestic Assault on Nov. 26 by Woodbury Patrolman Patrick Fann. Rollins allegedly punch the victim in the mouth and then held the victim's head to the ground, causing bodily injury. The fight started over a family argument. The victim had head cuts and a swollen mouth. Initial court date is Jan. 10.